"Snowmobiling Personal Checks" product is already in your cart. Snowmobiling is the title of this stylin check. 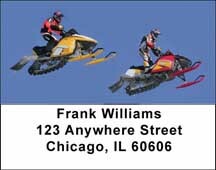 These Snowmobiling Checks have four rotating images showing off a big white wash of snow!